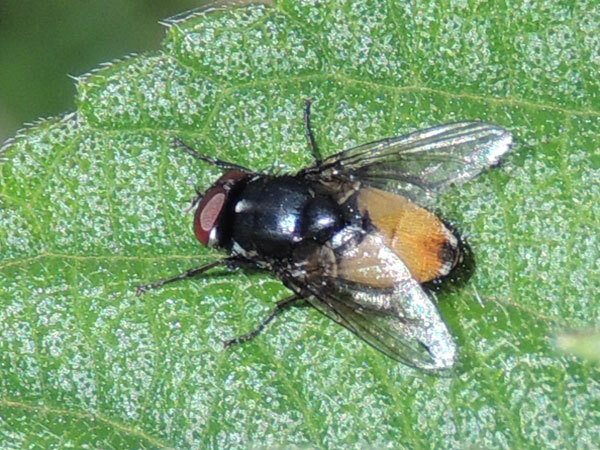 Given that this fly was photographed not far from paddocks where cattle and other domestic animals are kept, there's a good chance that the breeding site for the immature larval stage would be found there. However, there are many species of flies that look a lot like house flies, but are instead parasitic on various other arthropods. Amature naturalists in Kenya can help fill the gaps by finding and rearing out grubs, maggots and caterpillars to their adult forms.